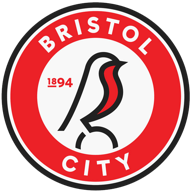 Jonathan Kodjia and Aden Flint scored from perfectly-executed free-kick routines as Bristol City clinched a 2-1 victory at Huddersfield. A second away win of the season saw the Robins leapfrog Town at a rain-lashed John Smith's Stadium. It was a third defeat in four matches for new head coach David Wagner and a fourth straight home defeat, Town's worst run since September 2000. Town's new-style 'gegenpressing' high-tempo football was drowned out by City's determined rearguard action. The Robins won the game with two dead-ball training ground moves in the first half-hour. Town skipper Mark Hudson fouled Aaron Wilbraham on the left to set up City's seventh-minute opener. Luke Freeman bounced the ball three times and placed it for Marlon Pack to whip in a curling cross for Kodjia to head home his ninth of the season. Four minutes later Town should have been level when Luke Ayling tripped Nahki Wells in the box. Emyr Huws stepped up to take the penalty but his weak effort was easily saved by Frank Fielding diving to his left. The rebound was headed clear by Flint, who then went off the field for lengthy treatment. Jonathan Hogg saw a hopeful effort land on top of the net before Town's Jed Steer saved from Wilbraham. City doubled the lead in the 29th minute after Hogg's foul on Freeman. Another rehearsed dead-ball routine saw Freeman roll the ball to Pack who stopped it, allowing Freeman to cross for Flint to appear unmarked at the far post to head past Steer. Fielding pulled off good saves from Joe Lolley and Wells but centre-back Liam Moore had chance to seal it for the visitors but he snatched at his shot and lashed over from close range in first-half stoppage time. In the second half it was all one-way traffic as City defended what they had. Ben Chilwell dragged a shot wide for the home side before a Wells snap-shot from distance was punched out by Fielding only for Sean Scannell to miscue the rebound. Lolley's powerful shot skidded wide on the rain-soaked turf and Huddersfield's fans thought they had pulled one back when substitute Harry Bunn spun away from his marker and fed fellow sub Kyle Dempsey who smashed a shot into the side-netting. 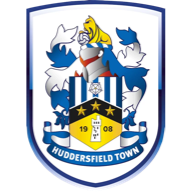 Six minutes from time Huddersfield gave themselves hope when Bunn, celebrating a contract extension to 2019, unleashed a near 30-yard rocket which lit up the gloom. Two minutes later Dempsey had the chance to equalise but his effort from inside the six-yard box was blocked by Fielding's outstretched leg.